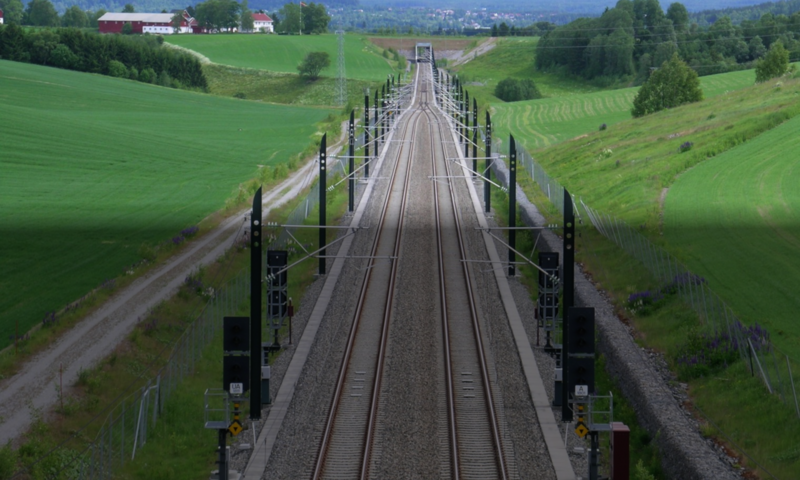 RailCOMPLETE is both a 2D and a 3D tool. 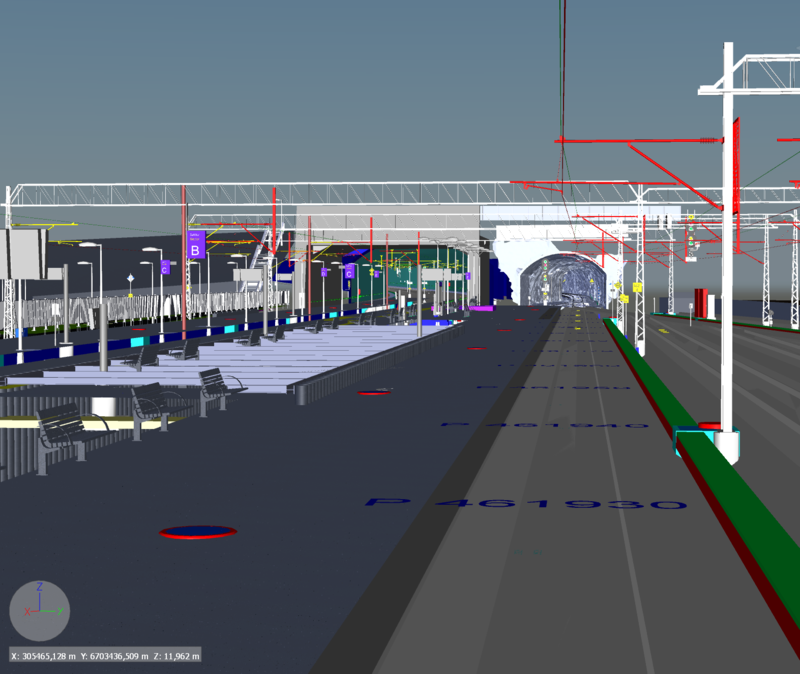 The BIM objects supplied with RailCOMPLETE have 2D symbols and 3D models so that you can easily switch between variants of the object type (such as mast lengths or whether an object is electrically controlled or not). 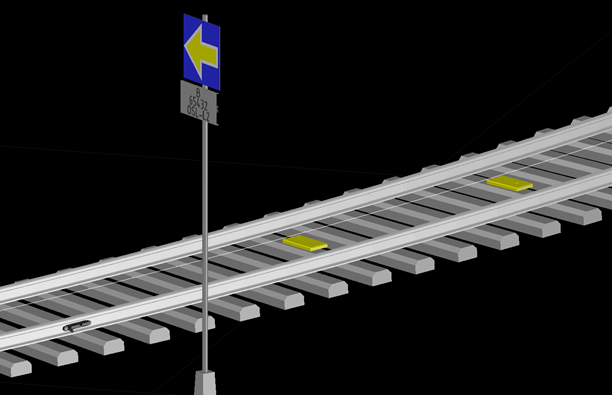 RailCOMPLETE can easily display the objects in 3D with user-defined graphical detail level and textual annotations. 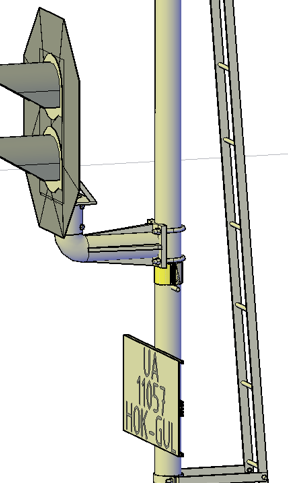 3D model of signal with automatic texting from the BIM model. Texts and numbers on signs and other components are exported to the 3D model along with its object. If you have changed positions or data values ​​for the BIM model, then you will replace the previous 3D export with a new 3D export. 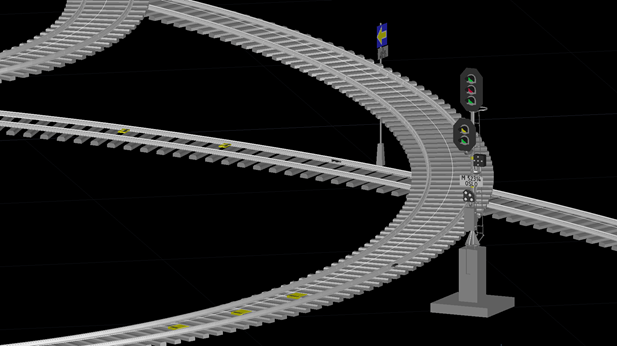 Additionally, length objects – such as a highly detailed track with its rails and sleepers – can be exported to 3D, or only export the track’s center line and its mileage annotations in order to have a more “lightweight” 3D model. A good and accurate 3D model is essential for early detection of object clashes, or other design problems.